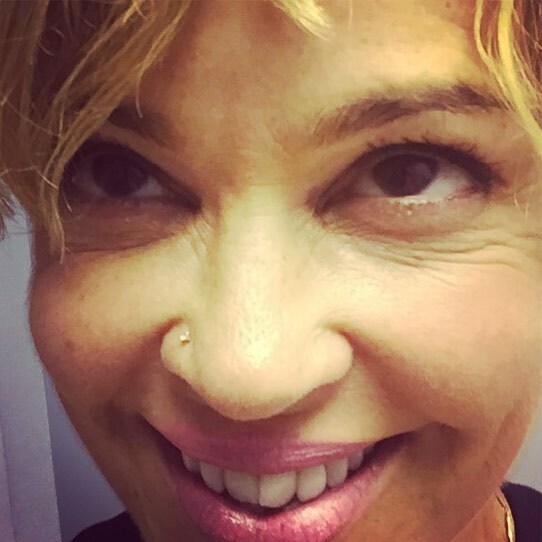 Is Inversion Therapy Your Next Tool in Anti-Aging? Take a DEMO CLASS at 11 am the first Saturday of each month! Email info@pilates1901.com to save your spot! 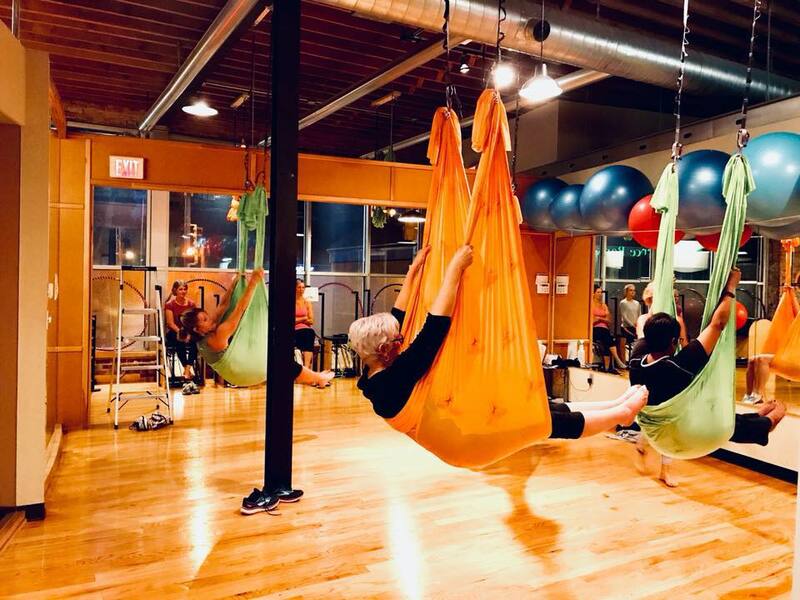 Using a specialized hammock set to different heights, the benefits of Inversion Therapy are accessible to anyone who’s looking for a new and effective way to gain strength, flexibility, mind-body connection and feeling more open and free. The hammocks are made of a soft, fabric that is made out of special, high-density nylon material. They can support over 1,000 pounds, so don’t worry, you are not going to fall through one. Held up securely by professional climbing carabineers, support chains, and webbing straps, the hammocks are adjustable to fit people of all shapes and sizes. Some of the most basic poses involve simple stretches while seated on the hammock, while other poses progress to hanging upside down and grabbing your thighs, ankles or feet for support and balance. If the hammock is set lower to the floor, these inversions are performed with part of your body resting on the floor while the other part is being tractioned and supported by the hammock. Both hammock positions provide complimentary training results. Increased Flexibility. Since you have more freedom of movement, you can move your body into new positions. In some cases, this can result in a deeper and more fulfilling stretch than traditional stretching offers. Better Focus. By putting yourself in a more challenging situation than usual, Inversion Therapy forces you to be more alert and aware of your surroundings. You naturally have heightened concentrate because you’re not used to being suspended in the air during your regular practice. Strengthened Muscles. Because gravity is working harder on your body than usual, your muscles work harder too. Inversion Therapy is also a great core workout because you have to engage your core muscles to balance and stabilize yourself during your class session. Stress-Reduction. Much like traditional Pilates or Yoga, Inversion Therapy is great for stress relief. Not only do you use some familiar poses to relieve stress, but you also experience the joy of knowing that you did something new and exciting, which also makes you feel good. Any kind of physical exercise poses some risk of injury. What are the risks associated with this training? Is it safe? 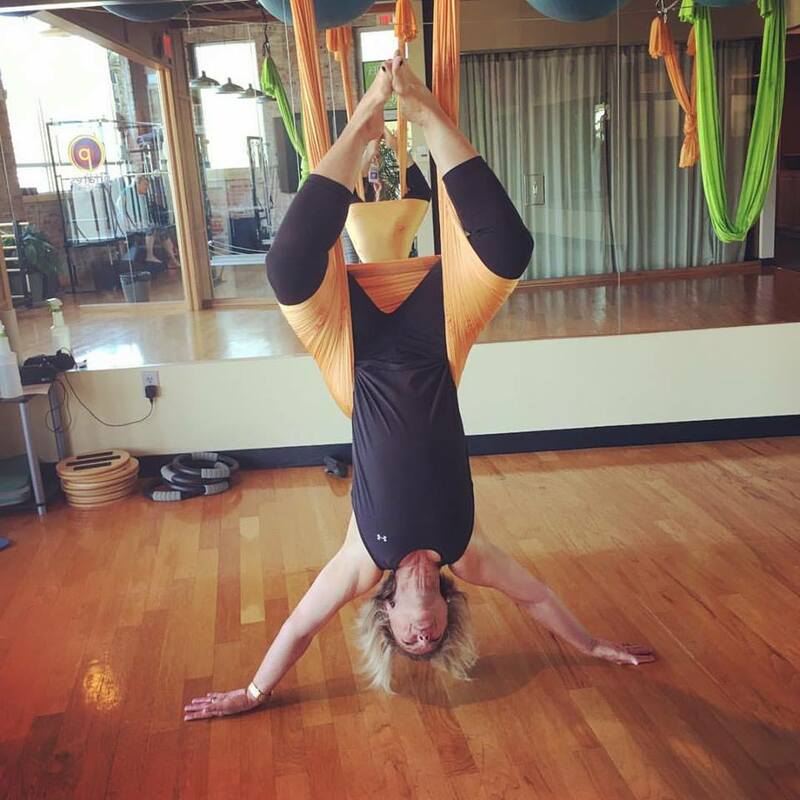 Inversion Therapy is a safe form of exercise in that all of our classes are taught by a professionally trained Pilates 1901 Inversion Therapy instructors. Your instructor will be able to tell you how to perform poses properly through specific progressions so that you don’t injure yourself. Furthermore, you are only suspended three or so feet from the ground during high hammock classes and just 8-12 inches off the floor in low hammock classes, therefore, the risk of injuring yourself from falling is quite minimal. Some considerations to take into account, however, are the multiple risks associated with hanging upside down for too long. Of course, the maximum time for any held inversion is between 3 and 5 minutes but you should be aware of some contraindications. If any of the following apply to you, you may consider a different form of exercise or — at the very least — consult with your doctor and trainer before trying a class. Wear form-fitting, but comfortable, clothes. Loose or baggy clothing can make it difficult to move and has the potential to get snagged or tangled in the hammock’s mechanisms. Drink plenty of water, and don’t eat a heavy meal before class. Avoid soft drinks and other acidic liquid before class. These might cause an upset stomach while performing the upside-down movements. Skip the hand lotion. It might stick to the hammock, or make it harder for you to maintain your grip. Please remove jewelry, watches and anything else that can rip into or get tangled in the hammock. Be considerate toward your instructor and classmates. Stay focused and attentive. Absolutely no cell phones. Be Prepared. 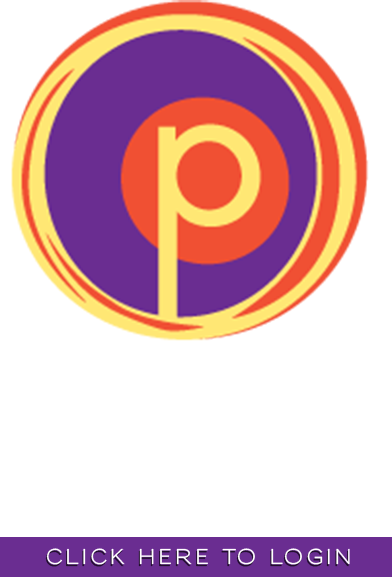 At Pilates 1901 we require a minimum of 4 (30) minute private intro sessions before participation in any group class. Although Inversion Therapy might seem like an intimidating exercise at first, it can be incredibly rewarding, and fun, yielding incredible results. And if I can do it with three hip replacements, there’s a very good chance you can, too! 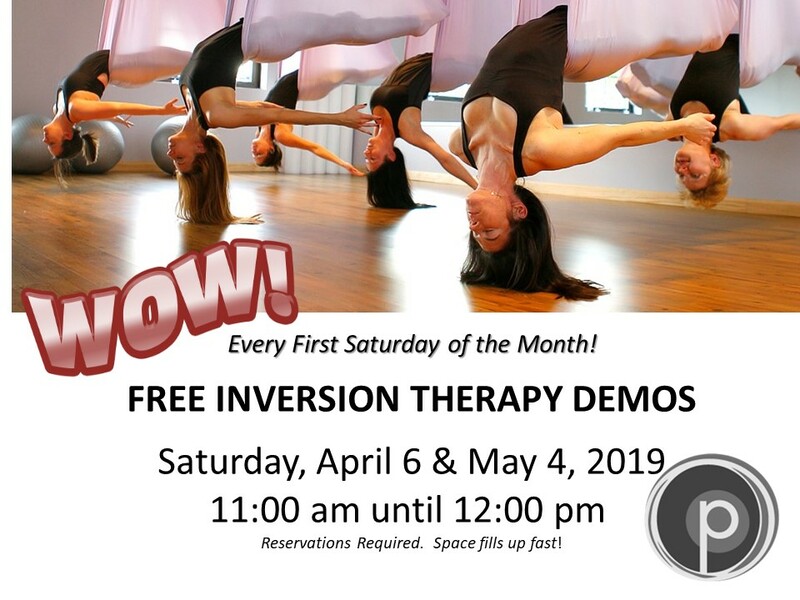 Another good reason to try Inversion Therapy now is you’ll save $30 on your 4 (30) Minute Intro to Inversion Therapy Sessions! Regularly $99, now just $69 through January 13th! Questions? Email me at tina@pilates1901.com today!